Personalized gifts and keepsakes are always my favourites. 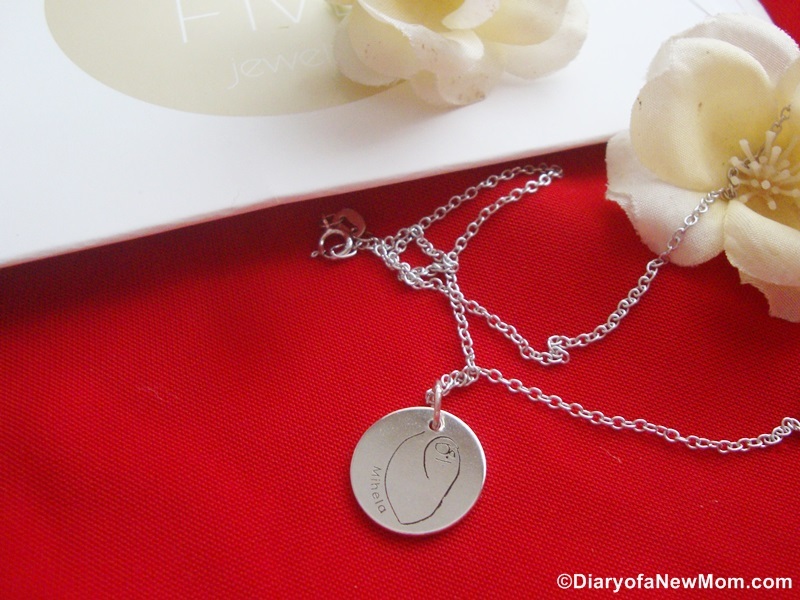 Isn’t this Personalized Drawing Necklace from Ninetwofive Jewelry too cute? 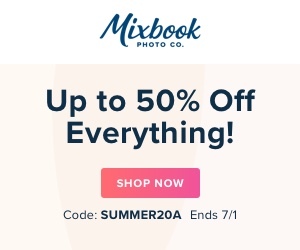 If you notice, I always share products and services that is helpful for creating personalized gifts or keepsakes that creates precious memories for the entire lifetime. Ninetwofive Jewelry is such another online shop that you can create personalized jewelries for you or for your loved ones. It is a great place to find unique gift ideas. If you visit their online shop, you will notice a beautiful collection of stylish designs which includes necklaces, bracelets, rings, earrings and all sort of jewelries which are easy to customize as you wish. Some of the personalized jewelry ideas include, name, foot prints, fingerprints and even handwriting. Isn’t this a cute idea to preserve one of my kid’s drawings in a customized pendant? Inspiring with all the design suggestions of Ninetwofive Jewelry, I decided to create a personalized necklace with my kid’s drawing on it. It is so precious. It is a great keepsake. It makes me proud always. Don’t forget that my kid is really proud of his artwork on a stylish pendant! So, here is how we did! From birth I could spend every single minute with my kid. I could watch how he started writing. I collected all his early days’ scribbles and I always noticed the development of his drawing skills from just lines and scribbles to drawings which shows facial features. 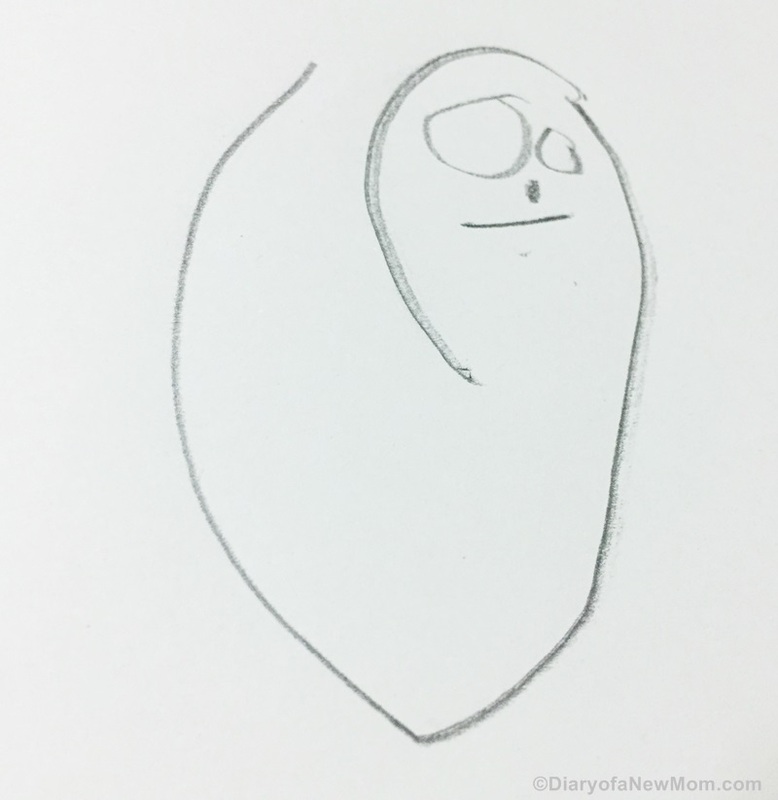 If you check this post you will see one of the early stage drawings of my kid. He was drawing his family and relatives. When I asked for a drawing of ‘Amma’ this is what he showed me. Does it look like me? Absolutely it is an early stage drawing of my kid. But this drawing is bit different from his other sketches. It doesn’t close. For me it looks like a snail. 🙂 I asked again. He said, yes this is you. This is Amma. I asked ‘can you draw Amma again’? He refused. No. This is you. This is your eyes, nose, mouth…He started describing the sketch. I understood that he has drawn this sketch with unique features. This drawing is different from the way he drew other members of family. I understood that he wanted to make my picture special. So, I decided to preserve this special moment in a personalized pendant with Ninetwofive Jewelry. Working with Ninetwofive Jewelry was really easy. Once I sent a photo of the drawing with name of my kid, they created this piece of jewelry. Isn’t it so cute? The design is exactly same as the drawing I sent. Check this necklace design. I am proud to see that my little kid is capable of designing a unique necklace. 🙂 At home he is proud of having his artwork on jewelry. This jewelry could make him excited same as me. He proudly spends his time on creative artwork and as his mommy I enjoy every minute of these moments. Isn’t this a great way to boost the confidence of any kid other than usual methods? These days as my kid is more on role playing activities and loves to pretend like his teacher or other roles, I found our jewelry designing experience was really helpful for him to expose his creativity!Isn’t it another brain boosting activity with his creativity? 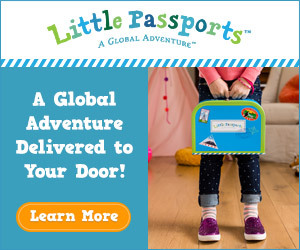 They ship to international destinations too. 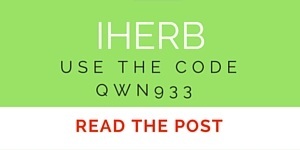 Check here for shipping details. You can find different keepsake ideas including Breast milk jewelry .Check here for the details and designs of DIY breastmilk jewelry kits. These are really affordable too. I know, now you are with lot of personalized gift ideas and keepsakes. Having such keepsakes will cherish your memories. Your kid will sure appreciate these pieces of jewelries once he is grown up. So, check ninetwofivejewelry.com for more designs and details. Don’t wait until your little kid is grown up. Preserve those beautiful memories for him to admire in future! If you look for mother’s day gifts or any gift for a new mom, I am sure you will find lot of ideas in their website! Use the code DIARYOFANEWMOM and enjoy 15% discount storewide when you shop personalized jewelries with Ninetwofive Jewelry. Now its time for the giveaway. 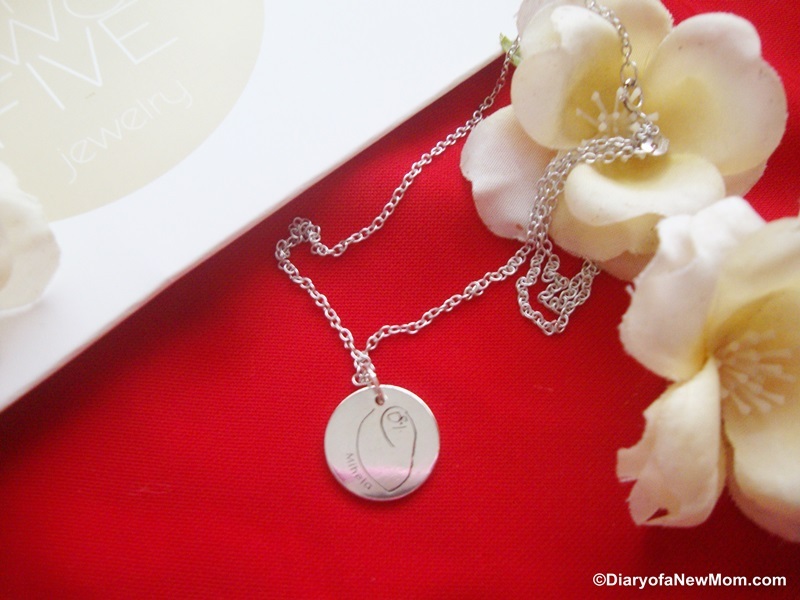 Management Team @Ninetwofive Jewelry happily sponsors 1 free personalized drawing necklace to one of the readers of Diary of a New Mom. Giveaway will end on 4th May 2017, 12midnight.We will contact the winners through a Facebook message. Giveaway is open for Singapore residents only. Disclosure:We received above personalized drawing necklace in order to facilitate this review. However all opinions are mine. If you are looking for a great and unique gift for a Singapore mom, I’d like to propose some interesting ideas which you can use for selecting something different for her. Instead of common gifts such as flowers and chocolates, my idea is that you can gift her a unique personalized item which can make her feel so very special. Something she will cherish and admire forever. Although you need to make sure that your gift is of her taste and choice, a personalized coffee mug with a great message will be sure to make her smile. It will get used by her every day and by adding an inspirational idea, you can easily make her happy and motivated while tackling the day to day tasks at home. One such website I came across is 5amily.com. 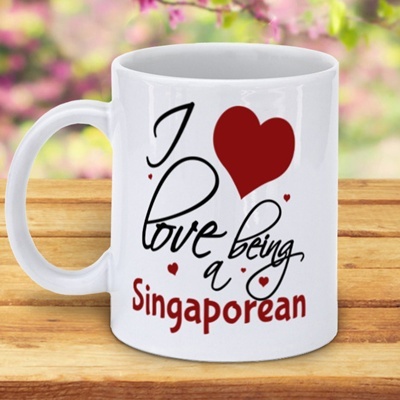 You can easily see their range of coffee mugs for Singapore Moms and select a design and slogan that you like. Then, if you wish, you can also personalize it with the name of the person or other details by filling a simple form. Other than that there is a vast collection of designs which you can select easily from and order right away. 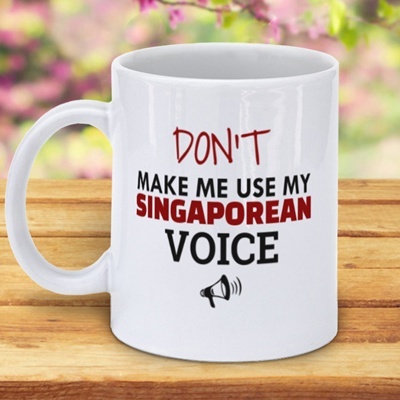 For example, below are some of my favorite mugs as gift ideas for Singapore moms. Use of 5amily.com for gift ideas is really convenient and it is a great place to find unique gifts. Here are some of the features you can expect when you shop with 5amily.com. • Affordable price and quick shipping to Singapore or any destination worldwide. Other than coffee mugs, you can also select other cool gift ideas such as tote bags, t-shirts, ladies shirts and even baby onesies. It is Christmas season. Everywhere it is all about preparation for Christmas. 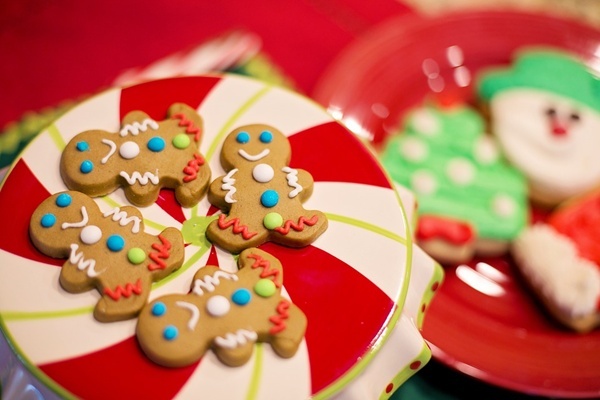 We cannot talk about the Christmas without talking about gifts. Have you started shopping for Christmas gifts yet? Anyway, I am sure a Christmas gift for your mom is on the top of gifts list. Although there are lot of ideas and gifts which you can purchase for this Christmas as a gift for your mom, here are few quick tips on how to select the best Christmas Gifts for Mom. Hope these tips are helpful for you to choose your Christmas gifts for mom and she will appreciate it so much! Hobbies and interests are one of the best clues to start looking for a perfect gift for your mom. What are her hobbies? If she enjoys coking, a cooker or new gadget for her kitchen would be a great idea. If she enjoys more time in her garden, then consider buying gardening equipment, tools or even beautiful flower pots for her. Nowadays there are many facilities to customize gifts with names,photos and many other ways. Try to personalize your gift, so she will be very happy and she will treasure it for her entire life! It is easy to buy engraved name necklaces or even you can go for a small gift such as a personalized mug. Well, do you think your mom want to receive an expensive gift for her? No. Instead buy a valuable gift within your budget range. Instead of buying a very expensive gift which you also can’t afford easily, buy some special gift just for her because you love your mom. She will sure appreciate it. She will appreciate her time with her whole family. Consider having a day out or even a dinner out with whole family including your siblings. Your mom will treasure these moments for her entire life! 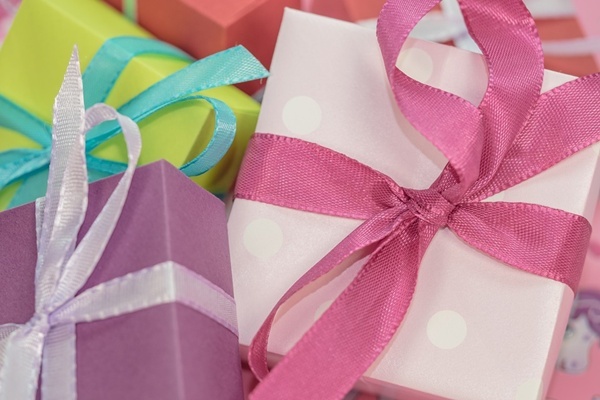 What are your tips for choosing a gift for mom?Have you selected Christmas gifts yet?Please share your thoughts and ideas below.